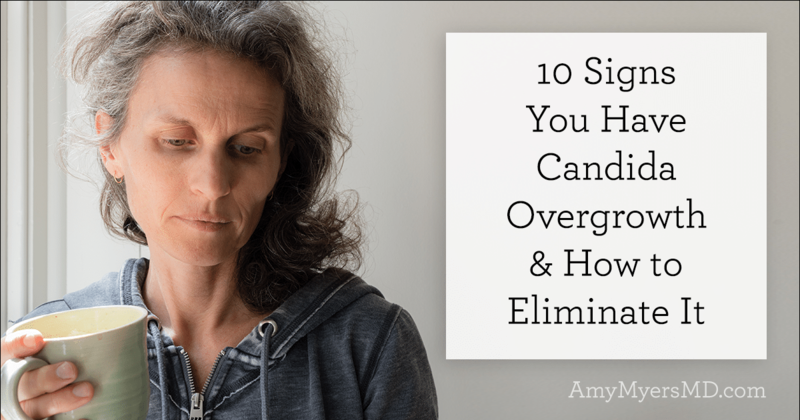 Candida overgrowth is one of the most common conditions I see in my clinic, especially among my autoimmune patients. 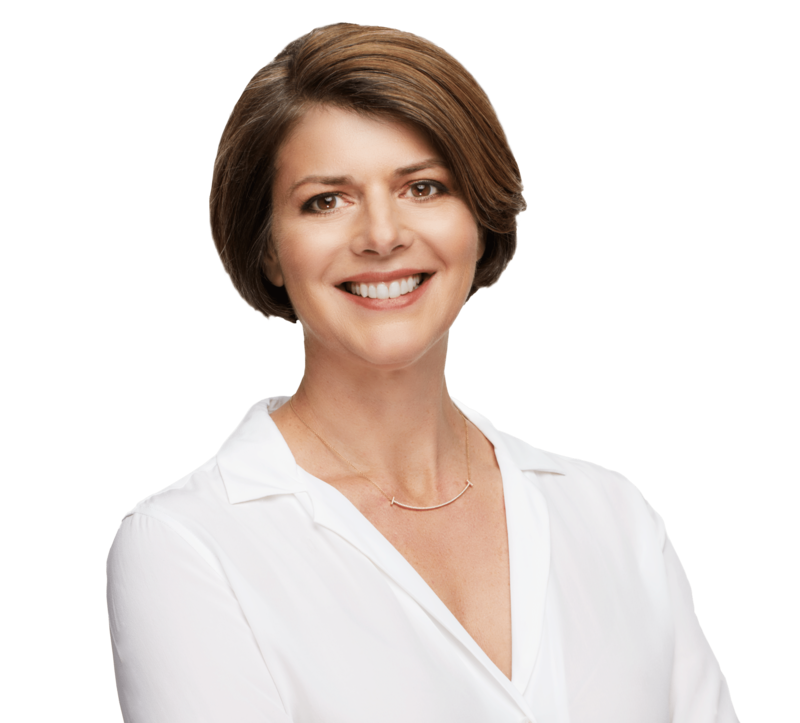 I’ve seen thousands of patients suffer from digestive issues, fatigue, brain fog, recurring fungal infections, skin problems, mood swings, and more, all caused by Candida overgrowth! I have also seen the incredible transformation that they experience by beating their Candida. I’ve witnessed energy and vitality return, mental clarity restored, and chronic symptoms fade away. 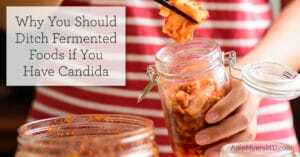 The healthy or ‘good’ bacteria in your gut typically keeps your Candida levels in check. However, the Candida population can get out of hand if a round of antibiotics kill too many of those friendly bacteria, you have a diet high in refined carbohydrates and sugar (which feed the Candida), high alcohol intake, are taking oral contraceptives, or any number of other factors including a high-stress lifestyle. Even a diet high in beneficial fermented foods like Kombucha, sauerkraut, and pickles, can feed Candida causing an overgrowth. 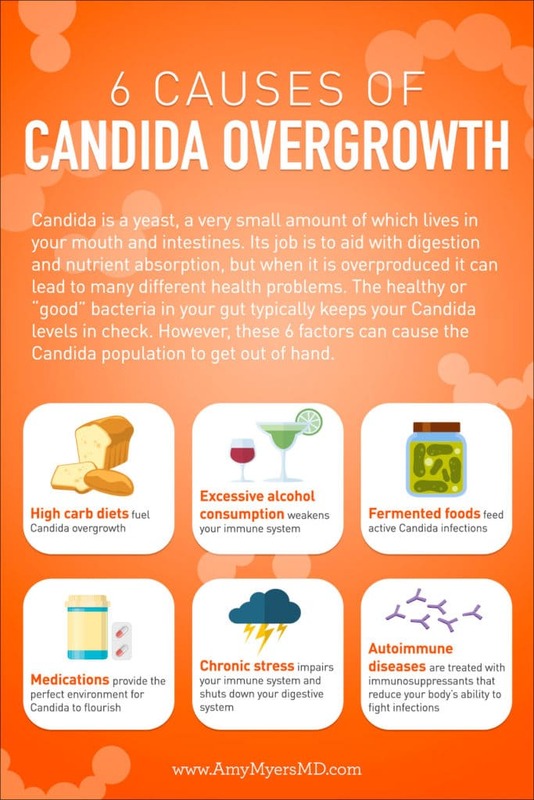 Once Candida has penetrated your intestinal lining and caused your gut to become leaky, it opens the floodgates for undigested food particles, toxins, viruses, and bacteria to pass through your intestinal wall and into your bloodstream. This triggers an inflammatory response from your immune system in an attempt to fight off these foreign “invaders”. As your gut remains leaky, your immune system continues sending out wave after wave of inflammation, and soon gets stressed, weakened, confused, and begins firing less accurately. When this happens, your own body’s tissues can end up in the crosshairs of your immune system. Over time this can lead you to develop full-blown autoimmune disease. I personally find this to be the most accurate test available. This will check for Candida in your colon or lower intestines. However, you need to make sure that your doctor orders a comprehensive stool test rather than the standard stool test. With the stool test, your stool is directly analyzed for levels of Candida. The lab can usually determine the species of yeast as well as which treatment will be effective. This test detects D-Arabinitol a waste product of Candida overgrowth. An elevated test means an overgrowth of Candida. This test will determine if there is Candida in your upper gut or small intestines. 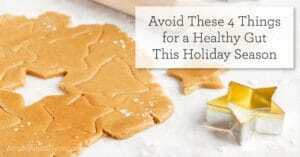 Step 1: First, you need to starve the Candida by removing the foods that feed it from your diet. This means cutting all sugar and alcohol, and limiting carbohydrates such as fruit, starchy vegetables, grains, and legumes.